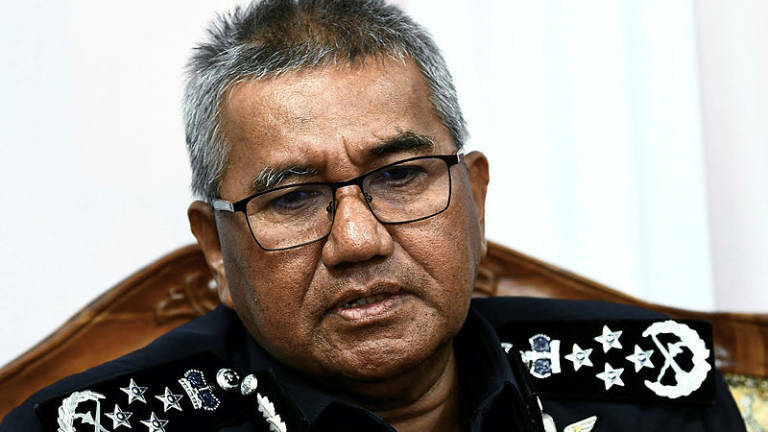 19 Mar 2019 / 15:27 H.
KUALA LUMPUR: Federal police have commenced an internal probe on three policemen who were nabbed by the Malaysian Anti-Corruption Commission (MACC) on Monday for allegedly providing protection to massage parlours for kickbacks. Inspector-General of Police Tan Sri Mohamad Fuzi Harun (pix) said an officer-in-charge-of-station (OCS) and two rank-and-file police personnel from a police station here are in the MACC's custody for investigations. "I have directed JIPS (police Integrity and Standard Compliance Department) and the KL police chief to investigate the case,” he said during a press conference after a function at Bukit Aman today. On Monday morning, a large team of MACC personnel carried out raids at several locations over seven hours where seven civilians and seven civil servants were arrested for allegedly colluding with a syndicate involved in vice activities in the city. Apart from the three policemen, the commission held three City Hall officers and an officer from the Fire and Rescue Department. All 14 suspects, who are aged between 29 and 54, were remanded until Friday and Saturday for further investigations. MACC deputy chief commissioner (operations) Datuk Seri Azam Baki, who confirmed the arrests, said investigations are ongoing.